Welcome to Superkickers inc! Please complete the following registration form. Do you need a bus pick up? After choosing how many days a week you need, please register your child for 2 classes per day you chose according to your child's age group. I am the parent or legal guardian and I declare that my child is in good health and free of any medical problems that would affect his or her ability to participate in the Super Kickers After School program or mini camp, or any other sports activity. If my child wears corrective eyeglasses, I will ensure that he or she wears shatterproof eyeglasses during class. I acknowledge that playing soccer and sports and participating in a soccer instruction, like all sports activities and instruction, involves the risk of personal injury. On behalf of the parents, guardians and/or heirs of my child and my child ("we"), I hereby release, discharge and covenant not to sue Super Kickers Inc, its officers, directors, coaches, managers, employees, volunteers, representatives, successors and assigns (each a "Release") from any and all liability, loss, claims, demands, costs or expenses of any kind, under any state or federal law or legal theory, including without limitation, negligence and personal injury, arising out of my child's participation in the Super Kicker's program. We agree not to bring or be part of any legal action or claim against the "Releases", and will indemnify and hold each "Release" harmless from and against any claims, liability, fees, loss, damages, attorney fees or other legal expenses arising in connection with such legal action or claim. I give permission To Super Kickers to treat my child for routine, minor injuries such as scrapes and bruises. In the event that a parent, emergency contact or the family physician cannot be contacted in an emergency, Super Kickers has the permission to have my child examined at a hospital emergency room. In case of a fever higher than 101.2 SuperKickers has permission to administer acetaminophen with the dosage measured by weight as provided in the medical form. 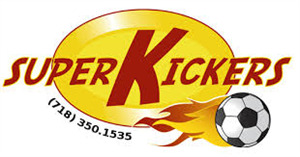 I hereby authorize Super Kickers Inc to take photographs or video footage of my child or us participating in the program and to use same in promotional or advertising materials for Super Kickers, on its website or in fliers, etc., and we waive any right to compensation or other rights related to such use. Super Kickers may cancel the Program due inclement weather or any issue with the location, in which event we will promptly notify parents by phone call/text message and email. I acknowledge that the cancelation of the enrollment in the After School program needs to be received 30 days prior to the 1st of the month in writing or the weekly charges will be made. I understand that there are no make ups or refunds for missed days of After School. I acknowledge that the cancelation of the enrollment will only be accepted within 2 weeks before camp starts, after that, ABSOLUTELY NO REFUNDS WILL BE GIVEN. I hereby understand that I am subscribing to automatic weekly charges to be deducted from the billing information provided to Superkickers every Friday. A late fee of $30 will be added to payments that cannot be processed until 5pm every Friday, and for bounced checks and declined credit/debit cards. I give Superkickers permission to deduct payments from the billing information I have provided. I hereby understand that cancellations will only be accepted within 2 weeks before camp starts. I authorize Super Kickers to process the payment from the billing information provided and I understand there will no refund for missing days of camp.